Veganism is blossoming the world over – but for those who aren’t in on this latest diet trend, what exactly is it, to be vegan? To some, it is merely a diet, to others it’s more a lifestyle. According to Vegansociety.com, Veganism is a way of living, which seeks to exclude, as far as is possible, and practicable, all forms of exploitation of, and cruelty to, animals for food, clothing, or any other purpose. A noble cause – that in recent times has been taking the world by storm. With Australia in particular topping Google’s worldwide searches for the word ‘Vegan’. 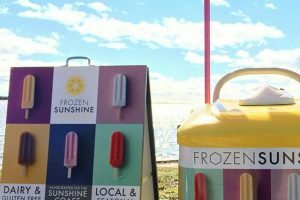 The Sunshine Coast is certainly not one to be left behind on this one – hosting Australia’s largest vegan festival, the Noosa Vegan Festival, this April 21st. 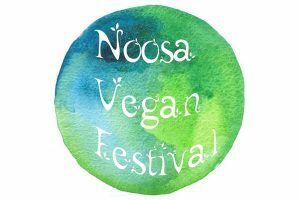 The Noosa Vegan Festival showcases the diversity of the vegan lifestyle with a wide variety of different stalls, speakers, celebrity guests, and of course an abundant selection of delicious food. This unique day is a fun event displaying the latest vegan products with a focus on highlighting a number of plant-based companies in our local area, while creating a community atmosphere through music, entertainment and kids’ activities. Vegan food cops a lot of flak – many people don’t understand how a meal can be satisfying, or even enjoyable without animal products being involved. However as a recent convert I can assure you Vegan food can be both delicious and satisfying. This festival will be chock full of incredible flavour experiences to help expand your culinary repertoire, with tasty offerings that may just change your mind on the whole debate. Curious about what a Vegan lifestyle tastes like? A sceptic? 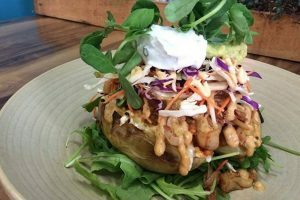 Visit this year’s Noosa Vegan Festival and see what all the fuss is about. Many are unaware of this, but many wines actually contain animal by-products, such as marrow and blood, used in the filtration process to remove or add flavours from the grape wines – so Vegan wines are a pretty booming business. If wine is your thing, then sample the amazing range of the very best vegan wines Australia has to offer, and maybe find a new brand, cruelty free. As well as the food and wine, there is also set to be an amazing array of Vegan products to replace your everyday staples. From soaps to perfumes and clothing lines, there’s a vegan alternative for just about any product in your home, and that doesn’t have to mean at a hefty price tag either. All in all the Noosa Vegan Festival has something to offer for just about everyone. 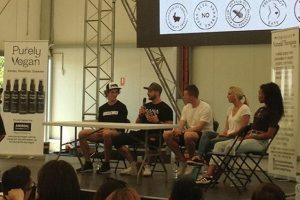 If you’re a new convert, an old hand, or a sceptic, expand your horizons this April 21st at the Noosa Vegan Festival – you may just have a life changing experience. For more information, or to book your ticket, visit their website.